Did you know? In the event of a loss, you have an obligation to limit the damage to your property. It might not be something that happens when you’re at home. Something could happen when you’re on vacation, or the roof on your shed might collapse, for instance. Let’s imagine you have to deal with water damage in your home. If you have the right reflexes, it will be a lot easier for you to do the right thing if the unthinkable does happen, despite you doing your best to make sure it doesn’t! Step 2: Contact the relevant authorities right away—that might mean the police, the fire department, or a plumber, whatever is necessary. Step 3: Contact your insurer to report the loss and the damage you can see. Don’t forget, you have an obligation to report any loss to your insurer as soon as it happens or you become aware of it. This isn’t just a suggestion, it’s actually a requirement under the Civil Code of Québec, especially if your loss is liable to lead to a claim. If you don’t report the loss within the proper time limits, you could lose the right to be compensated for that claim or even any future claims. If any unreported damage were to lead to other damage in the future, your insurer would be entitled to deny your claim. In summary: Be honest with your insurer. This will ensure your claim file is handled quickly and effectively. Things to be aware of: When you call your insurer, make a note of the date and the name of the person you spoke to. We also suggest you refer to the handy checklist What Should I Do in the Event of a Loss? on the Chambre de l’assurance de dommages website for further information. Step 4: Spring into action and limit the damage as best you can. What does that mean, exactly? While you’re waiting for your insurer to get back to you, you must do your best to limit the damage so things don’t get any worse. You should know, in fact, that your insurer is not obligated to compensate you for any aggravation of the damage that you could have avoided. (See Article 1479 of the Civil Code of Québec). But in concrete terms, what do you need to do in the event of water damage? - If you need to take any further action, talk to your insurer first to make sure it will be covered by your insurance policy. - If you want to throw away any furniture or items that are damaged, remember to take photos of them and write a description of the the damage so you can include these on your claim. Step 5: Agree to any emergency repairs, if necessary, to avoid the damage getting worse. Step 6: When you file your claim, remember to include the amount you had to spend to limit the damage and prevent it from getting worse. Doesn’t that set your mind at ease? This 6-step plan of attack will help you do the right thing in the event of a loss, which we obviously hope will never happen. 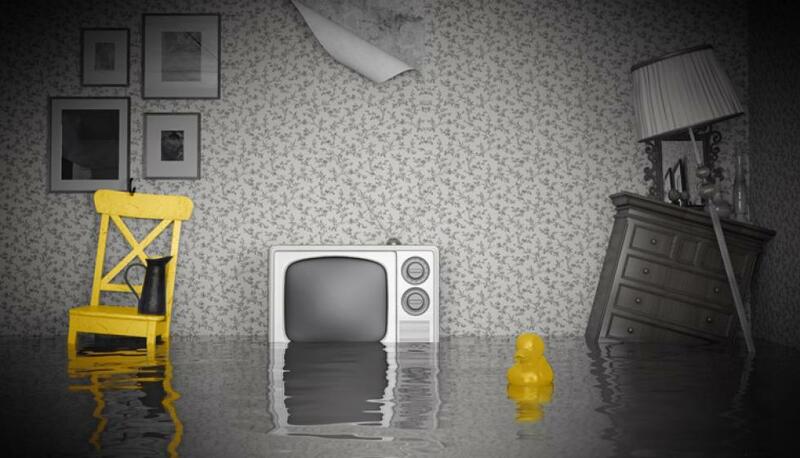 Next week: Stay tuned for tips and precautions for preventing water damage. You’ll be well-equipped to handle the worst winter can throw at you! Do you think your family and friends might enjoy reading this article? Share it on social media.